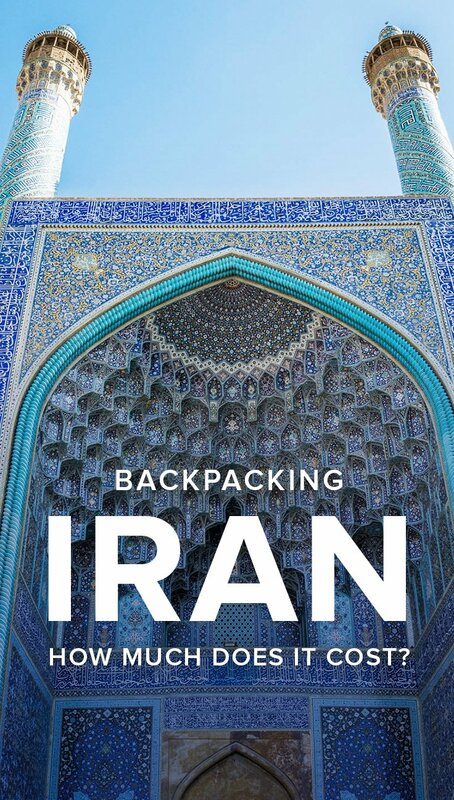 A detailed budget report about how much it costs to go backpacking in Iran. Includes a city-by-city breakdown, average costs for common expenses, and recommendations for budget accommodations. Planning the financial part of a trip is often the most difficult step. Sure, you have vague notions of how much food costs, and how much that hostel for the first few nights will be, but planning for more than a couple of days is pretty miserable. To save the world of a few unnecessary headaches, we tracked our expenses over two months while backpacking in Iran, so you can see exactly how much it costs to backpack in Iran. We only included costs we think are relevant to the average traveler. We doubt anyone cares about the clothing we bought, or camera bits and pieces, so we didn’t include these costs in our public spreadsheet. Things like visas for onward travel are also not included. We Couchsurfed in Iran. Even though we did this only sporadically, it still saved a lot of money. You don’t have accommodation expenses, and your host will insist on paying for everything. We highly recommend it, because it’s a great way of meeting even more wonderful people. Make sure to bring a gift from home, though! Postcards or something similar are much appreciated. We didn’t visit all tourist sites. 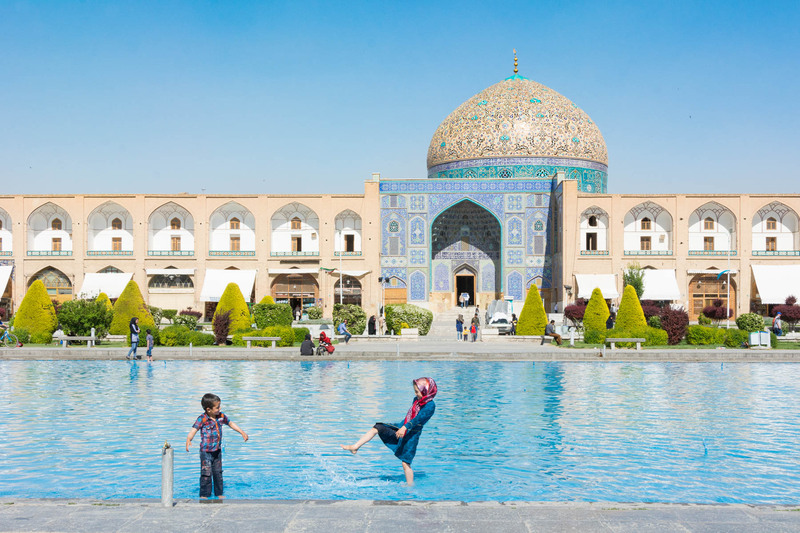 A lot of tourist sites are relatively overpriced (200,000 IRR for the Fin Gardens in Kashan? No thanks. ), so we had to pick and choose. If you have a serious case of FOMO, you’ll probably spend more than us on entrance fees. Iranians are going to invite you to stay with them quite often, and they’ll pay for everything when you do. This greatly reduced our costs. Given how common this is, we figured we’d leave the freebie days in when making our calculations. Say yes to invitations! There is a big difference in prices between the touristic cities (Tehran, Kashan, Esfahan, Yazd, Shiraz) and other places in Iran (most notably in the west). Wherever relevant, we will give price ranges. The lower range is for less touristic places, the higher range for more touristy places. The actual exchange rates at the time of writing are 34,500 IRR to the US dollar and 38,000 to the euro (the euro might fluctuate a bit). We are using a euro exchange rate that is a bit below 38,000 IRR because we exchanged euros to dollars back in the Netherlands. Overall this difference is negligible. 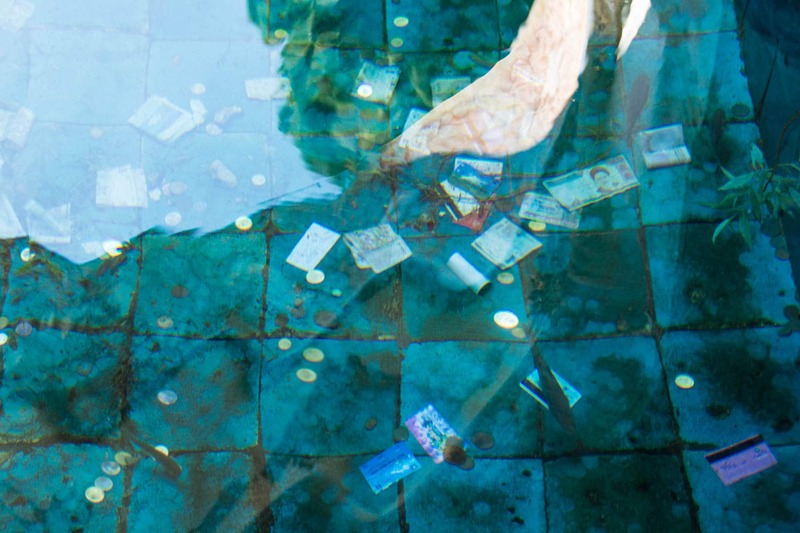 Do you have some change for the fountain? No? Well, we accept cards, too. Note: prices for rooms in Iran are usually per person. A solo traveller can expect to pay roughly the same as the above mentioned. Taxis: All over the place. 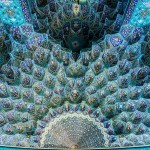 See our post about taking taxis in Iran. 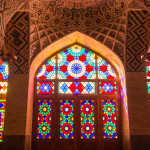 Dazzling Esfahan, home of endlessly stunning architecture and some of the most hospitable people we met in Iran. We have no idea what the name of the hotel was… some tiny mosaferkaneh. 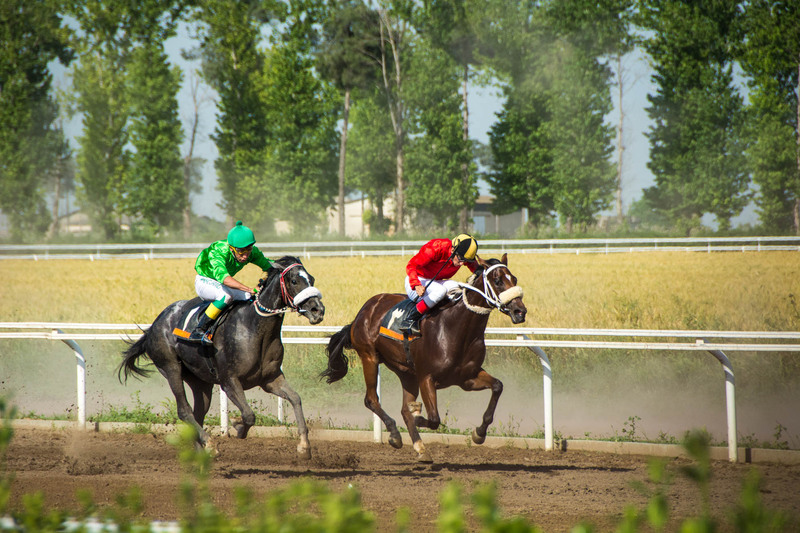 The horse races in Gonbad-e Kavus, a small town in northeastern Iran. Eat only kebabs. Since we didn’t want scurvy, we ate at sit-down restaurants more often than we normally do. Couchsurf more. We never used Couchsurfing before Iran, so it took us a bit of time to get things rolling (and sometimes we’re anti-social), but it’s a great way to save money. Iran has a very active Couchsurfing community, especially in the well-visited cities. If you post a public trip a couple of days before you go, you’ll likely get dozens of responses. Go camping. Iranians love camping, and you’ll see tents everywhere. These are mostly to post and chill during the day, but it is possible to camp in many places in Iran. 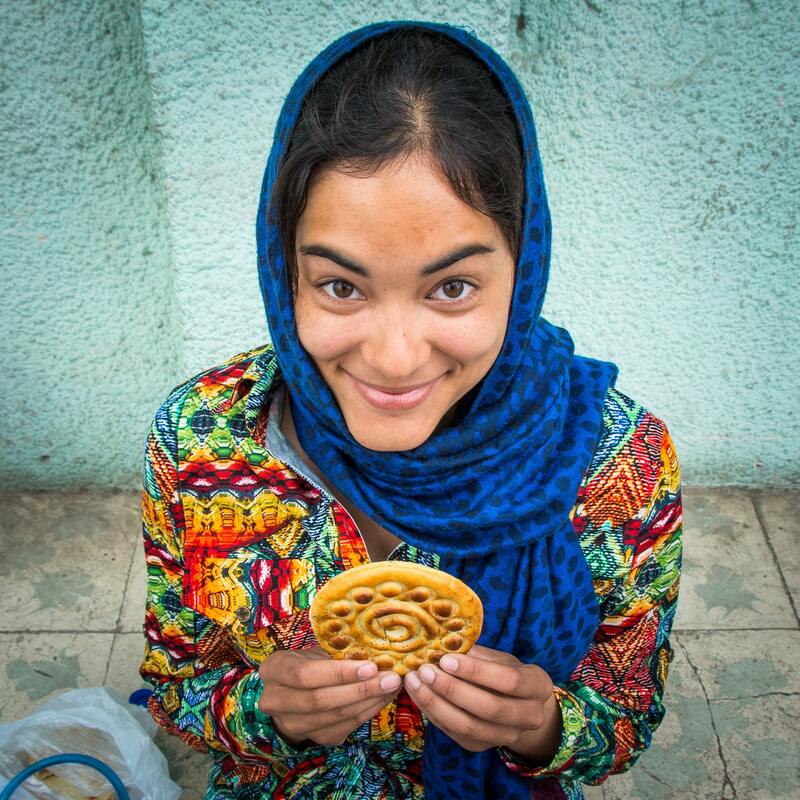 For more money saving tips, check out the Broke Backpacker’s guide to backpacking in Iran. 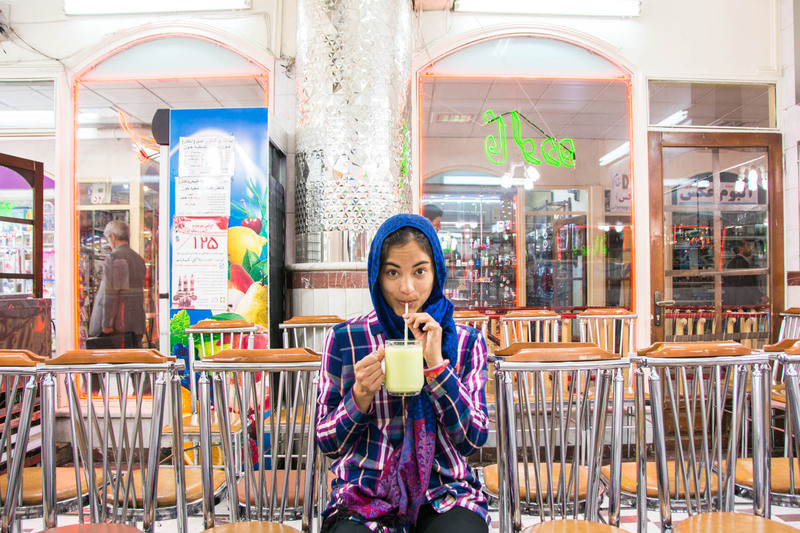 Sipping up some sweeeet melon-y goodness in Tabriz, a super chill city and the perfect introduction to Iran. Preparing for your trip to Iran? Don’t miss our list of things you need to know before traveling to Iran! Yay transparency! There are affiliate links in this post. Basically, if you check out the links in this post, we’ll make a bit of change at no extra cost to you. This is how we pay to keep the blog up and running! We’ll also love you forever and ever if you do click around. Scout’s honor! This is really comprehensive. I’m so glad you mentioned couchsurfing. I love CS’ing, and am happy to hear there’s an active community there! I spent a little over a week in Iran back in September with one of my best friends and we had a tour guide the whole time. We are Americans so it was required by law, and I’m glad we went because it looks like it may not be possible for the next four years thanks to our Orange leader. 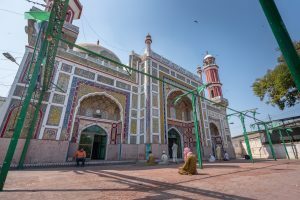 We developed a close relationship with our guide as he was close to the same age as us and we have maintained contact with him back in the States. One of the things he has complained about is tourists taking advantage of Iranian hospitality. It is part of the culture to offer free things to guests, but informed guests know enough to not accept all the time. When you take locals for a ride by not paying for anything you sour them on tourists and backpackers. Please keep that in mind. Thanks for pointing that that. We mention the practice of ta’rof, and how to deal with it, several times in our other Iran articles. This article, however, focuses on costs, so we didn’t include it. Prior to the Trump fiasco, Americans could enter Iran as part of a tour or if accompanied by a guide. We believe Americans were banned from getting visas as a reciprocal action to Trump’s travel ban, though we’re not sure what the current status is given the travel ban has been deemed illegal. If you’ve had many cases, you’ll know that there’s no use in pointing out specific places—you can find them anywhere, it all depends on who was sleeping there before you! However, the bedbug incident mentioned was in Khorammabad I believe. As an Iranian living in the West, this makes me very angry. Travelers, PLEASE DO NOT listen to this blogger. “Iranians are going to invite you to stay with them quite often, and they’ll pay for everything when you do. This greatly reduced our costs. Given how common this is, we figured we’d leave the freebie days in when making our calculations. Say yes to invitations!” Iranians are being polite, it’s in our culture. But if you are privileged and wealthy enough to be traveling, do not go there to mooch off people who have far less opportunity than you. In fact, if you accept any invitation for dinner or at someone’s home, please insist on reciprocating in some way. In the comments you say that you’ve addressed the subject of tarof, but obviously you have not really understood or decided you didn’t care because “yay, freebies!!”. Again, to anyone reading this blog: this is terrible advice and an abuse of Iranian hospitality.